Soo iMade a new account for backup reasons. Just in case anything happens to my first account, iCan always have a second. Obviously, iLove the m4 and thats my favorite gun. I bought that and when iReached a certain level, iEarned 20,000 Gp + My other 20,000 Gp. iWent for these crates guns: R93 T2, Desert Eagle-Camo, Anacanda Adv, XM8-Adv, QBz-95 Camo and Ak-47 Camo. 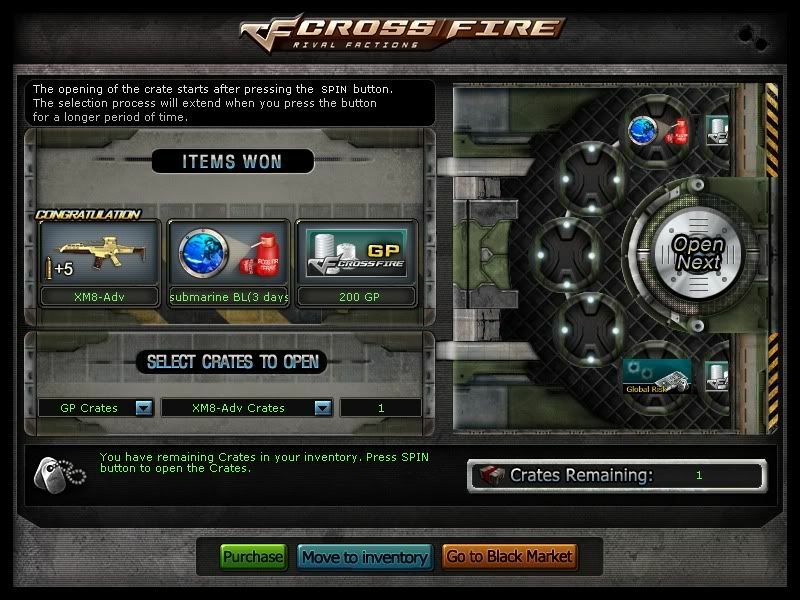 Each of those crates, iBought 5 each and I won the XM8 Adv on my fourth crate, and iALMOST won the Anacanda Adv on my first crate. Btw, @[S]iMpLe[T]M if you buy crates and you want me to spin them for you then ill be glad to help you try to win something.